‘Oh, this generation of kids is too smart”! Don’t we all often exclaim this? With the generation next, their toys become technology based too. There are barely any kids today who have never experienced what a gadget feels like. They all have played a game or watched a rhyme on gadgets. Gradually, Gadgets become our everyday harnesses that we trap our children in. Handing kids a gadget in order to calm them down is not an unknown method. It makes them sit down for a while, as parents attend to other important things. Where does that leave you as a parent?? In total guilt!! But today, I’m going to share a definite way out of the gadget world with almost the similar effects – kids will be glued to it but without any harmful effects. 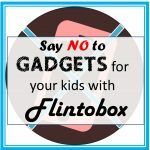 Join in with me and say NO to gadgets for your kids, with Flintobox! In very simple language, Flintobox is a subscription box for kids. This means that on a monthly basis, you get a box full of activities that your child can play with. You get to choose the age appropriateness of the box and avail absolutely new games and activities. These activities are not just helpful in learning but are also insanely addictive for kids. Every month, the activities surround a certain theme, to help develop skills based on it. We recived a box which was based on the theme of numbers and mathematics. In the box we received, appropriate for 4+ years, we got 4 activities and a book. Most boxes have 3 – 7 activities. Do they Need adult supervision? For younger children, Flintobox activities may need adult supervision, at least for the initial few sessions. How Long does each activity last? Each activity can be done over and over, or be completed in multiple sessions, keeping the baby occupied. There are no small parts or harmful objects. The products used in the box are neat and well made, keeping children constantly in mind. All activities of the Flintobox come with an instruction sheet which is very simple to follow. It helps parents and children understand the functioning of the activity better. They also have videos on their site to know how these activities would work. The average time taken by a parent and by the child, skills developed while completing the activity, is all mentioned in the activity bag. A to Z of items required to complete the activity are provided in the bag. From measuring tapes to funky punches, our kit had everything. All we needed to do is complete it. None of the activities were put aside because we did not have a certain thing available at home. Some activities have extra pieces as well, just in case. Flintobox subscriptions are available on a single box, quarterly or a 6-monthly basis. So if your child does not enjoy activities, you can cease to continue. However, that is highly unlikely. Some activities may require certain items to be stuck on a wall or a board. Relocating them or removing them after the activity is through can be troublesome. Each Box is available at a price of INR 1195, but often lucrative discounts are going on their website. My twinadoes totally loved the Flintobox. We highly recommend it to our readers. It is great for a set of twins, good enough to engage two kids at a time. If you liked reading the review, do SHARE it ahead. Such activity boxes make good companions for kids. These boxes educate in a fun way. TCHanks for the lovely review. Very interesting post. Flintobox is quite affordable. The box sounds great for kids learning while play. Great review. Flintobox is surely a complete package.. .very well planned activities and seems total fun for kids. Parents would love to see their kids do anything except stare at gadgets. Every kid these days seems to be involved with some or the other gadgets. Such activities are the need of the day. This looks interesting and engaging. Nice product. Flintobox seems to be really good…a perfect activity game for growing kids…n its far better that gadget games…. My kiddo has amazing time with this box.. She loves it.. What’s the theme of this month BTW? After reading your review, I definitely would like to try this subscription box. Flintobox is the best way to teach kids important concepts while they are having fun. My son loves it! Oh these activities look so engaging.. I really wish to try flintobox more coz I love the way so much thought goes behind each of their activity. When we wetre growing up these boxes were not there ..They look like a lot of fun.Will be gifting a flintobox to my niece ! If kids have flintobox then I don’t think they wouls ever think of gadgets. I love the beautiful and educational games and activities that are included in this box.